Gold has always been a byword for beauty and desirability. Thanks to its multifaceted nature, gold has become the most-used precious metal. Indeed, it was one of the first metals to ever be worked by humankind. Gold reflects light wonderfully, giving rise to its glowing lustre. As there were hardly any gold deposits in the Roman Empire, the Romans mined gold in Asia Minor, Spain, Romania and Germania. Gustav Klimt, the famous Austrian painter and one of the most significant modernist artists, impressively demonstrated the effect of gold on canvas. Gold has a timeless quality; it transcends all trends and has always been a sensible and reliable investment. 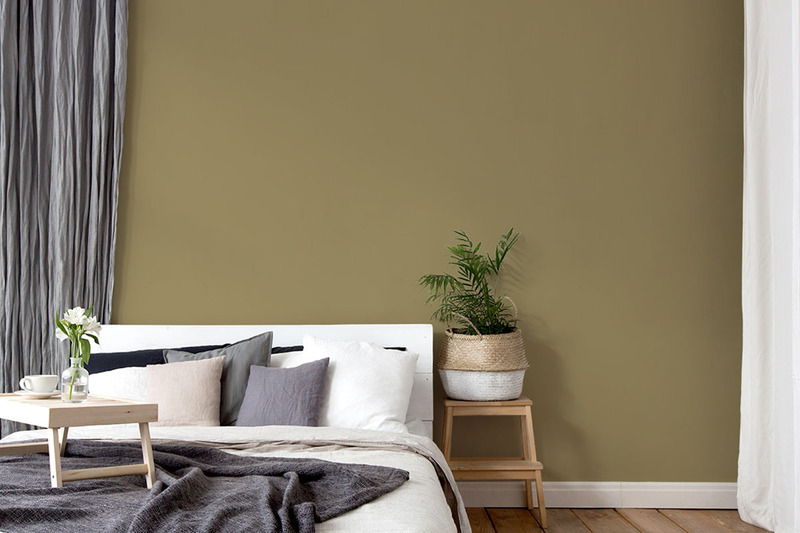 A wall colour that makes a unique effect, creating a warm and luxurious interior atmosphere. The surface of gold changes, depending on how the light falls. Gold is particularly expressive when combined with dark, elegant colours – burgundy, forest green and chocolate are good examples. In product design, the interior of light-shades are often gilded with leaf gold or gold colour, the effect being exceptionally warm light and unique reflections. 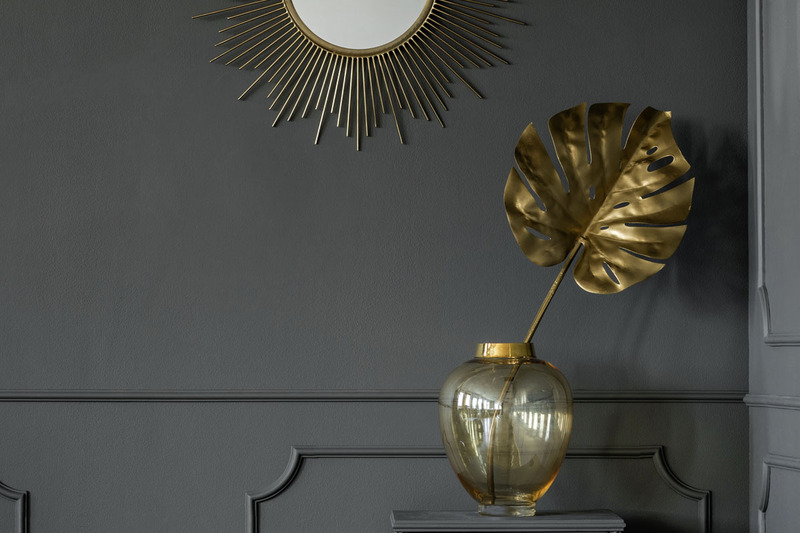 The cheaper alternative to gold, brass, has always been used in interior design and is currently undergoing a renaissance; the sixties are making a comeback. She was the mother of Caesar – and her name could hardly be more appropriate: Aurelia, the golden one! 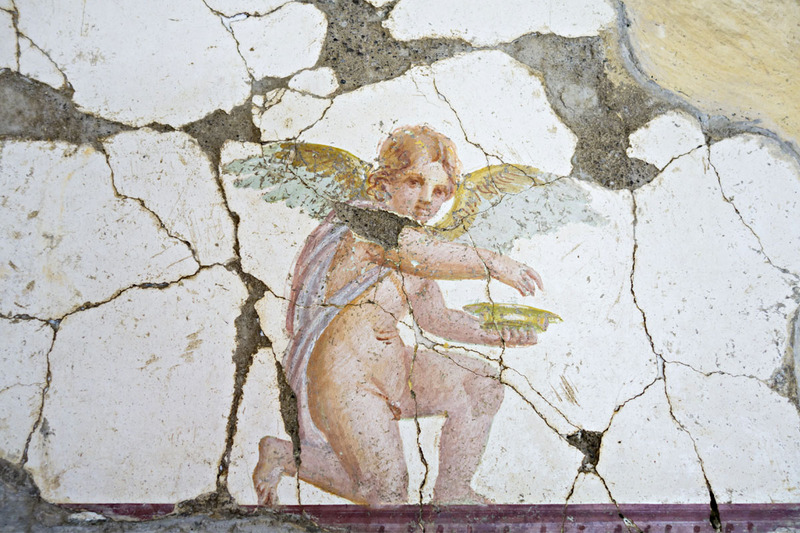 She was idealised, even in antiquity. Highly intelligent, fiercely independent and self-confident, beautiful but with her feet firmly on the ground. Without his mother, Caesar’s trajectory would have been inconceivable. One of Aurelia’s hallmarks was her great courage. When Caesar was just 18 years of age, he was ordered by the dictator Sulla to divorce his beloved Cornelia. At great personal risk, Aurelia intervened to save both her son and his love. This gold pays testament to her strength.